Despite hearing a lot of negative comments about this months glossybox, I'm impressed! The theme for this months box was 'high-flyers', so the products are from various parts of the world including the UK, USA, Brazil, India and Sweden. I'm excited to try these out! I've recently binned my old eyelash curlers and I was debating whether to purchase a pair of Shu Uemura curlers - the holy grail of eyelash curlers. The only thing that put me off was the price tag, I just couldn't justify spending that much money of curlers so I'm super happy about receiving these. Considering they're around the same price as Shu Uemura, I'm expecting a lot! I've never seen anything like this in the UK so I'm excited to try this out. I always manage to smudge my eyeliner so this is just perfect for me. Bearing in mind this is available to buy in Superdrug, Boots, Waitrose and Tesco - how have I never seen it? I suffer from really dry ends so this should be a saviour! As I'm sure you'll are very aware, I'm a big fan of Jelly Pong Pong cosmetics, especially their Fairy Lashes Mascara, so I've got high expectations for this. Although I only wear liquid or gel eyeliners, I think this will come in handy for creating a dark smokey eye. I've never heard of this brand before but their principles are impressive so I'm really hoping I like the product, that way I have an excuse to purchase some more items from their range. And that was this months glossybox. 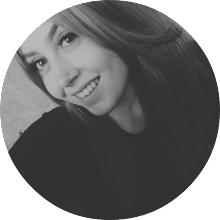 Out of the five products I received, four were full sized, which is just amazing! 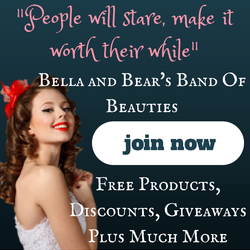 On first impressions, I'm impressed so hopefully these products will be as good as they seem! What did you think about this months box? 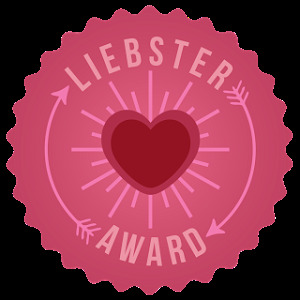 Hey, I nominated you for a Liebster Award! Here's the link so you can check out the questions and directions. I am excited to see your answers!